TrickyGuns inquires about preserving your vintage gems with care. 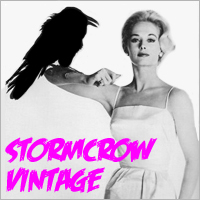 hermosavtg discusses favorite vintage t-shirt brands. hermosavtg asks why people want vintage Ralph Lauren. jimmyj‘s hypothetical of choosing one tee from your collection.